The California Supreme Court announced on Sept. 27 that it has not accepted our petition to review a Court of Appeal decision that allows the Metropolitan Water District of Southern California to include its State Water Project costs in the rates it charges to transport the Water Authority’s independent Colorado River supplies through MWD’s aqueduct. While we hoped the court would strike down all of MWD’s monopolistic rates, our lawsuits have produced noteworthy victories for San Diego County residents — rights to significantly more MWD water, a determination that MWD breached its contract with the Water Authority, and a ruling that MWD illegally collected tens of millions of dollars in overcharges from our region through the imposition of its so-called “water stewardship” rate. MWD must repay the Water Authority approximately $51 million in illegal water stewardship charges from 2011-2014. And, the decision prevents MWD from imposing more than $20 million in illegal charges annually going forward. Through 2047, those unlawful charges would have amounted to approximately $1.1 billion. As part of the litigation, the Water Authority also secured the single-greatest water rights victory in San Diego County history. Under the Metropolitan Water District Act, each of its member agencies has a statutory right to a certain percentage of MWD’s available water supplies. The trial court and Court of Appeal both ruled that MWD illegally under-calculated the Water Authority’s water right since 2003. Properly calculated, the Water Authority’s water right at MWD will be about 100,000 acre-feet per year greater than MWD had calculated. To put that in perspective, that’s about twice the annual production of the $1 billion Claude “Bud” Lewis Carlsbad Desalination Plant. The state Supreme Court sets a high bar for the cases it accepts for review, agreeing to review only 5 percent of all cases presented to it. We are thankful to our staff and legal team for the extraordinary effort required to advance our cause — and we are thankful for the legions of business associations, civic groups, elected officials and other stakeholders for continued support of the Water Authority’s efforts to protect the interests of San Diego County ratepayers. The Water Authority has two additional cases challenging MWD’s rates from 2015-2018 that have been stayed in Superior Court while the appellate proceedings were ongoing and are now expected to move forward again. We expect to recover approximately $39 million in illegal MWD charges in those two cases. 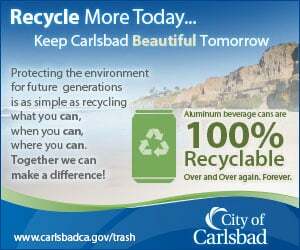 To learn more, go to www.sdcwa.org/mwdrate-challenge.